From bars and lounges to retail boutiques and more, you can appear professional and practical with this unisex bathroom sign. Engraved plastic; choose your color combination! A quick update to your restroom signage helps to keep your business current with the times and ensures that any and all customers feel welcome to come back. 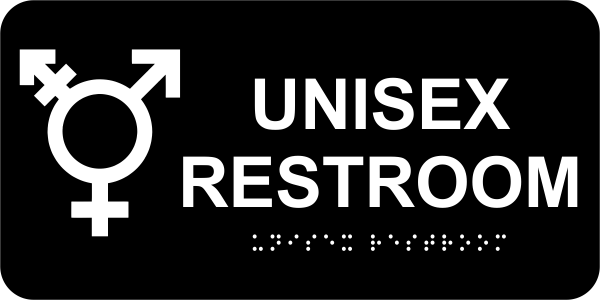 Let people know your bathroom is a safe space with this inclusive restroom sign, which even features Braille for ADA friendliness. Order your unisex bathroom sign now; most products ship next business day!